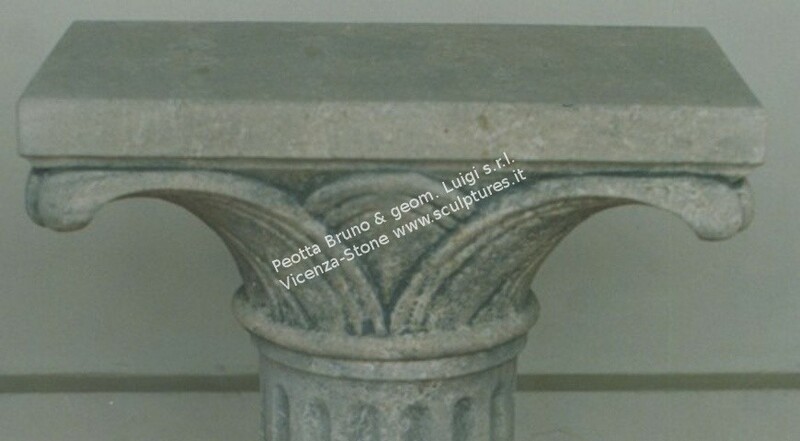 In our sculpture workshop we produce stone works in natural Vicenza stone, carved by hand, for interior furnishing. Our indoor stone tables play a special role among the room furnishings, as they dominate the center of the room and characterize the entire environment. Our stone table bases and consoles in Vicenza stone are carved entirely by hand and combined with glass shelves that do not cover, but rather stand out, the rich and elaborate finish and decorations of the furniture.